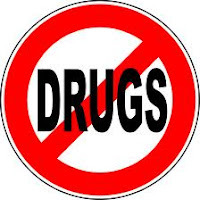 Drug Prevention Efforts ---Efforts to prevent the spread of drugs among students should be our collective responsibility, in this case all parties, including parents, teachers, and the community must take an active role in a drug alert to threats against our children. Then the most important factor is the parents themselves by giving attention and affection, and gave moral and religious education. With the efforts of the above let us keep together young people from the dangers of drugs, thus expectations were spawned generations of intelligent and resilient in the future can be realized with either. in addition, drug prevention efforts not only from the law in force in each country, but to prevent drug and its use, it is necessary to follow the maximum.